Running a business is demanding. To be successful requires leadership be equipped with a broad range of skills from financial astuteness to empathy for staff. Whilst developers have ample resources from which to draw reference on best practice, for managers and business leaders knowledge gained is often be deemed competitive advantage and so kept secret or is accessed only through expensive training or courses. Working in open source brings many benefits including the fostering of knowledge transfer that transcends merely code. 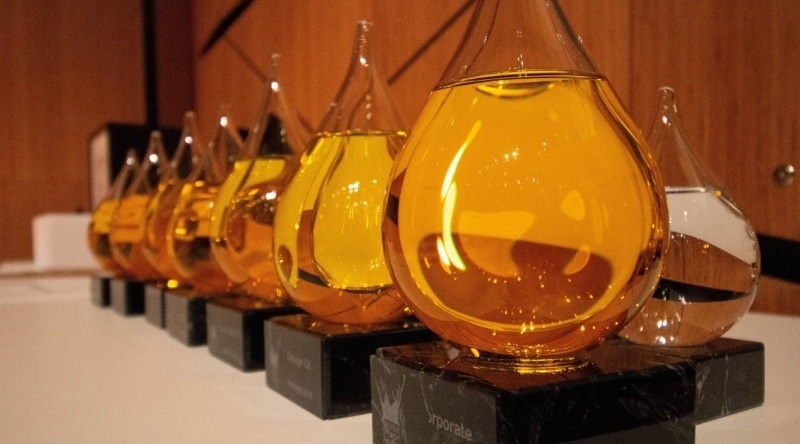 It is to the benefit of all that business leaders in Drupal share this openness and are willing to reveal lessons learnt or formulae of success, that in other industries would remain behind closed doors. A fine example of this mindset is DrupalCamp London CXO, this years incarnation was no exception. 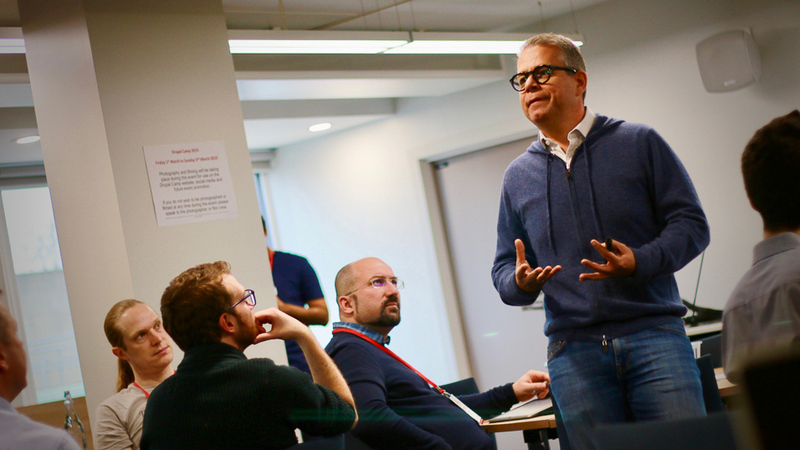 Prof. Costas Andriopoulos, Cass Business School, spoke about leadership and innovation in scaling enterprises. He explained that it’s far wiser to sort out your business early, when you are small and well ahead of scaling because what kills businesses is success, age and size. Marketing Drupal to Customers: a Drupal Europe Initiative. Call for Contributors! 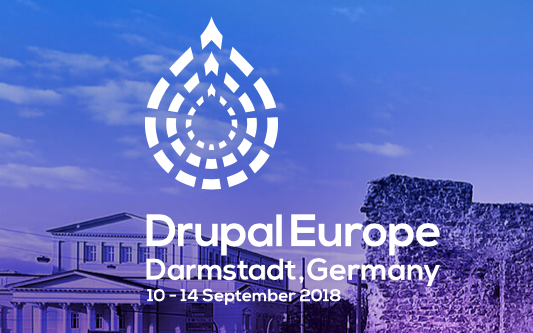 Whilst at Drupal Europe last month, I was privileged to be invited by Drupal’s founder, Dries Buytaert, to a round table discussion, aimed at further marketing the Drupal project. Bringing together a number of leaders from the Drupal community, we all shared the same desire to boost the marketable assets of the open source platform. One of the ways we hope to achieve this publicity is by creating a comprehensive, customer-facing "Pitch Deck". This weekend we hosted members of NWDUG who held the UK’s first ever distributed Drupal Sprint, together with the London Drupal community. Drupal Europe is an entirely volunteer-led event, welcoming hundreds of people to celebrate the power of the open source community. We are excited to support our clients, BASF and Chatham House, in presenting sessions at Drupal Europe. Representatives from these diverse organisations will speak about their experiences with Drupal, embracing open source software in industries traditionally opposed to the very concept. Paul Johnson, our Director of Drupal Services, will co-present the sessions, providing technical detail and expertise. In Part 1, we set up migrations to pull in regional content to the national site and configured a Solr core to index them for location searches. Then we altered the Solr queries, so that the default behaviour only shows content from the current site. The remaining step is to render the search results that come from other sites. The main problem here is that the default Drupal/Solr/Views integration uses Solr to find the content before rendering it through Drupal’s rendering engine. However, the regional sites are unable to render content from the national site... at least not through the usual process. CTI have recently been working with The Wildlife Trusts to create a platform that will be available to run all of their local trust websites. In addition to their UK-wide site, each regional Trust has their own website (e.g. 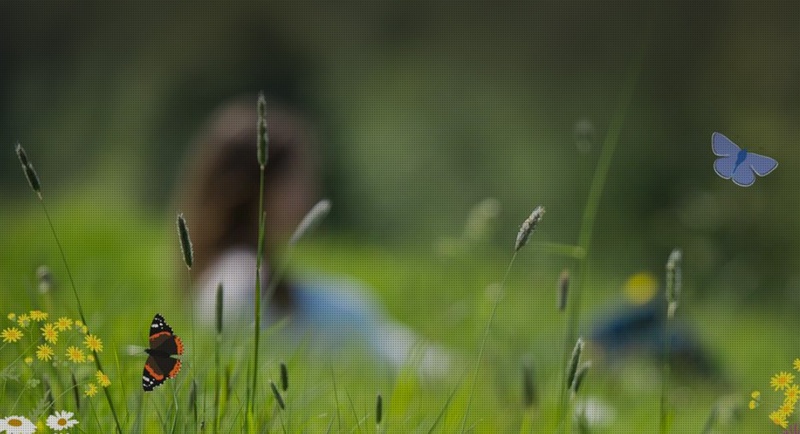 Surrey Wildlife Trust and North Wales Wildlife Trust). Rather than the overarching case study, this blog post is a deeper technical dive into how we approached two of the key requirements: content sharing and cross-site searching. For the second year running we’re sponsoring the North West Drupal User Group Unconference! 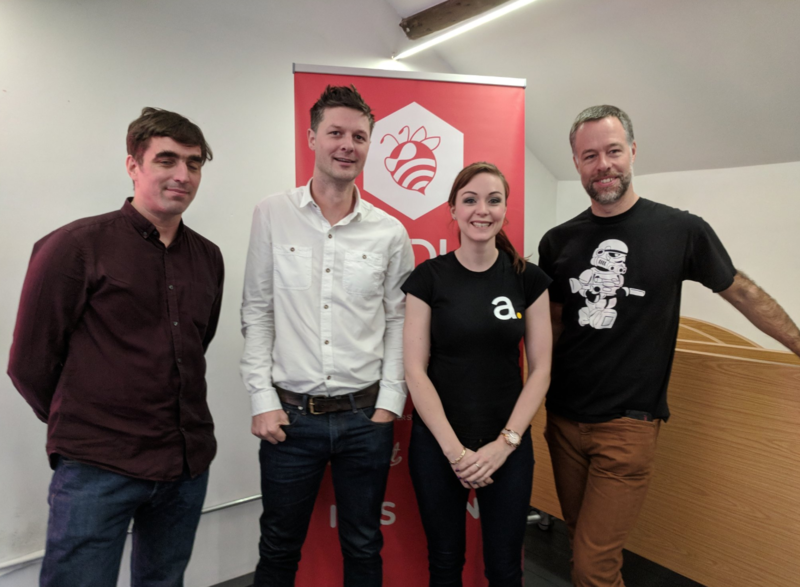 Supporting and contributing to the Drupal Open Source community is an important part of life at CTI Digital so we are excited to sponsor such a pivotal event in the Manchester Drupal community. This June, Acquia will host their inaugural Acquia Engage Europe conference in London. Naturally, as key Acquia partners in the UK, we will be eagerly attending the conference. Our Drupal Director, Paul Johnson, will join other leaders in digital transformation at the conference in London, on 4-5th of June. The Engage conference is about sharing insights, experiences and plans for the future of transforming the digital landscape. 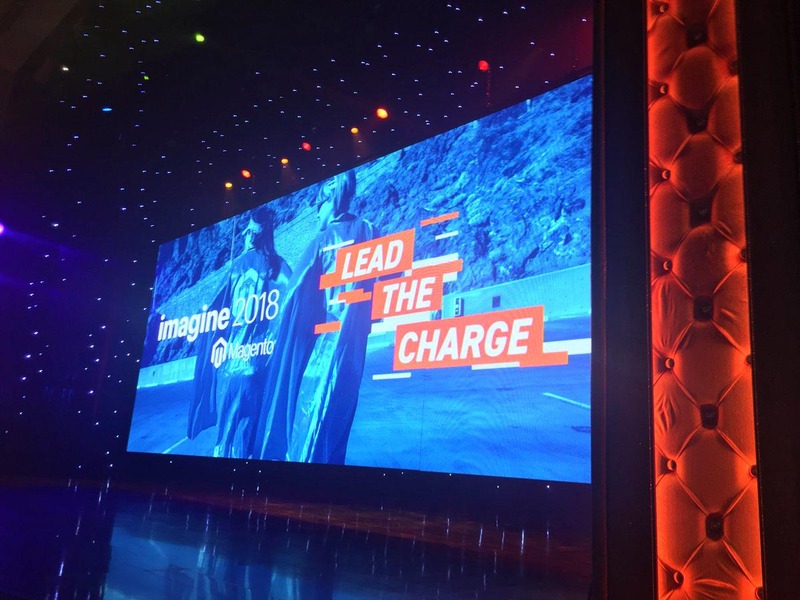 In May at Magento’s annual Imagine conference in Las Vegas the news was released about Magento 2.3 and the new features it will bring for merchants. UPDATE: On the 28th November 2018 Magento 2.3 was officially released, meaning you can now begin to benefit from all of the features detailed in this blog post when you upgrade.